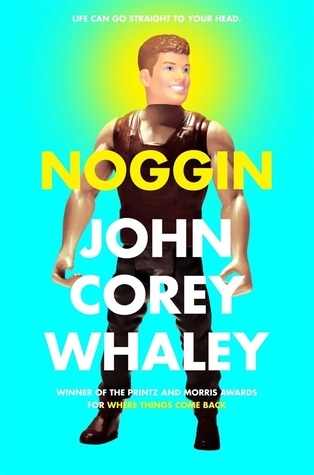 I borrowed this from the library while I was waiting for another novel of Wilson’s, Robopocalypse, to become available. In a not-so-far-off future, Owen Gray is a teacher, and he is an amp. He received his amp for epilepsy, but there are others who have received amps that have heightened their physical and mental capabilities, leading some to feel that the ‘amps’ have an unfair advantage over the ‘reggies’ (regular people). Gradually, the amps have their rights taken away – they even lose their status as citizens of the United States, because they are not seen to be human anymore. Owen must come to grips with this changing reality, and must also deal with a shocking revelation from his father, the doctor who implanted his amp all those years ago: Owen has something extra in his amp – something related to a top-secret military program. While Owen has thought he was different from some amps with enhanced abilities, he has to deal with this new knowledge that he possesses something special, perhaps dangerous, in his head. 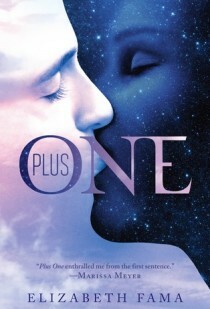 For the first half of this book, I was totally into it. 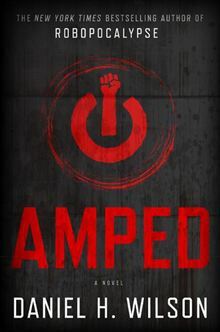 I was really intrigued by this whole idea of amps, and Wilson’s world-building seemed quite complete: the procedures of amp implants, the history of them, the legal and political background of it all was convincing and plausible. I was also fascinated by the manner in which society reacted to its fear of amps. Suddenly these people, who were more often than not disadvantaged socioeconomically, were viewed as threats. Reggies said they were taking away jobs and opportunities for ‘normal’ humans. And so the prejudice, fear, and hatred grew. Rights were taken away, such as the right to contract. Suddenly Owen’s lease was void and he found himself with nowhere to live. Owen set out to find someone who, according to his father, could help him. He ends up at a trailer park of sorts, called Eden, where amps have come to live together. It’s not a peaceful place, however, as the reggies on the other side of the fence are constantly watching and taunting the residents. Here, Owen meets Jim, the person his father told him to find, along with Nick, a child born with FAS but ‘cured’ by an amp, Lyle, who seems to be the leader of a group of ‘rebel’ amps fighting discrimination, and Lucy, Lyle’s sister. This is where I began to lose interest somewhat. Initially, I was interested in Eden and the people living there, but it seemed that the story stalled. I thought, given the circumstances, that Owen would seek out Jim and be hungry for answers, but he didn’t seem to act with much urgency at times. He also developed feelings for Lucy, but other than her being the only female in the book, I couldn’t really see how or why this relationship developed. They barely seemed to spend any time together. I liked Nick, though. I felt an attachment to his character and cared about what happened to him, much more than I did Owen. In the background is the bigger story of society vs the amps. There is a group calling itself Pure Priders who stage protests and are the primary visible group rallying against the amps. Then there are groups of people – reggies and amps – who are in favour of individuals’ freedom over their own bodies. The Pure Pride movement is spearheaded by a Senator, who is the novel’s villain. Owen just seemed so oblivious to so much that was going on in this regard. I felt that people were constantly explaining things to him that seemed pretty important, and it made me wonder why he didn’t know this stuff. I understand that it may have been a device to explain to the reader, but then I thought perhaps Owen was just an everyman – or at least he saw himself that way – and therefore didn’t pay attention to what was going on around him. I should explain that amps are identifiable by a nub on the forehead and so their ‘difference’ is visible. This book certainly raises interesting questions about what makes us human and how we treat each other, the lengths people will go to because of fear and hate, technology’s role in medicine/medical treatments, etc. and I was really intrigued by these questions. I felt, though, that character and plot were lost about halfway through the novel (or at least my interest in them was). I couldn’t help but feel that some of the characters were shallow or not developed enough for my liking, and ultimately I didn’t quite enjoy it as much as I wanted to. 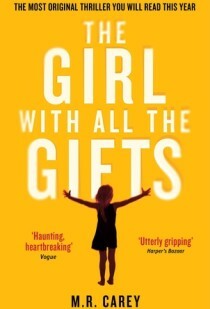 It was one of those books that, when I put it down, I didn’t think about until I picked it up again. 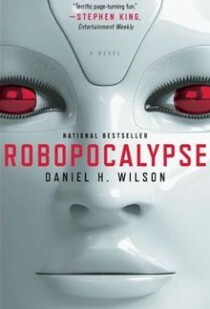 However, I will certainly be reading Robopocalypse, and if you are a sci-fi fan, I still recommend this book. It certainly provides some good food for thought.